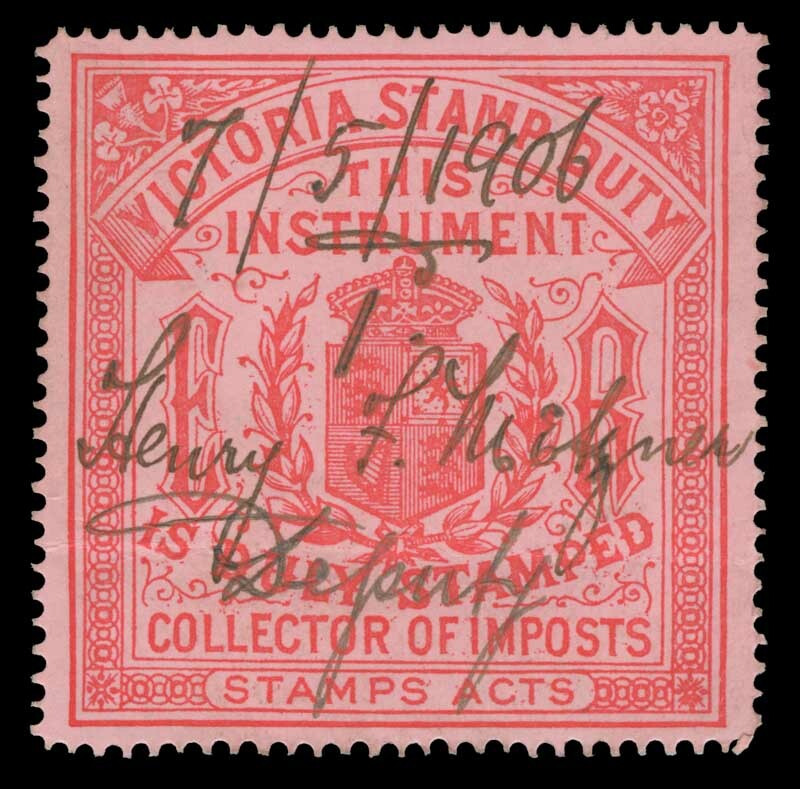 c1905 Collector of Imposts Carmine on Pink E.R. 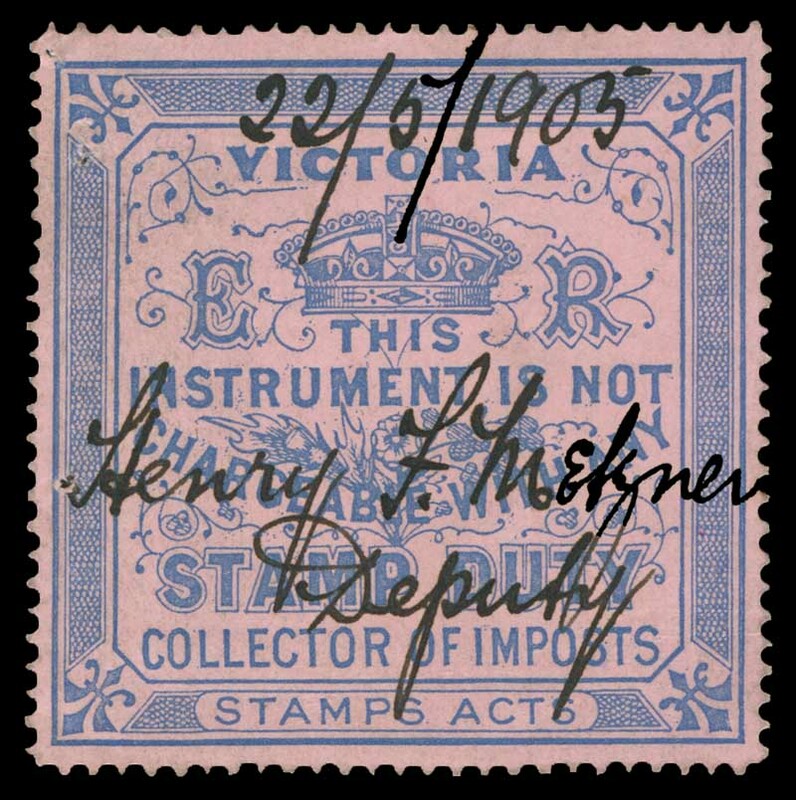 Duty Exempt stamp fine used with light crease. Barefoot 8. Elsmore Catalogue Value $100.00. Collector of Imposts Ultramarine on Pink E.R. Duty Exempt stamp fine used. 2 small pinholes. Barefoot 9. Elsmore Catalogue Value $100.00. 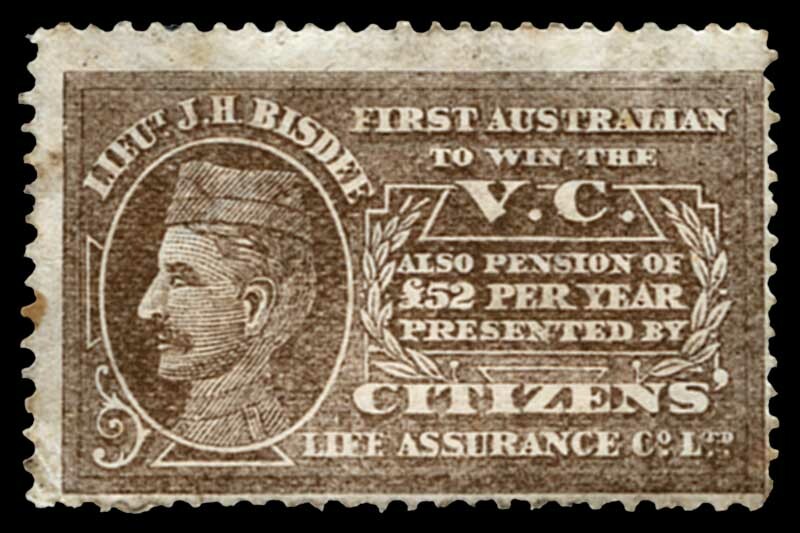 1902 Lieut.J.H.Bisdee First Australian To Win The V.C. promotional cinderella label in brown for "Citizens Life Assurance Co Ltd" who granted him a pension of £52 per year. Fine condition. Scarce. 1940 6d Blue Plane War Savings stamp (27) in War Savings folder. 2 stamps stained. Accumulation of hundreds of cinderella items from early to modern including Motor Spirit Ration tickets, Centenary Celebration labels, War Savings Stamps, Emergency Mail labels, National Parks stamps, Exhibition labels and souvenir sheets, Hutt River Province issues and many other interesting items. Generally fine condition, with some duplication. 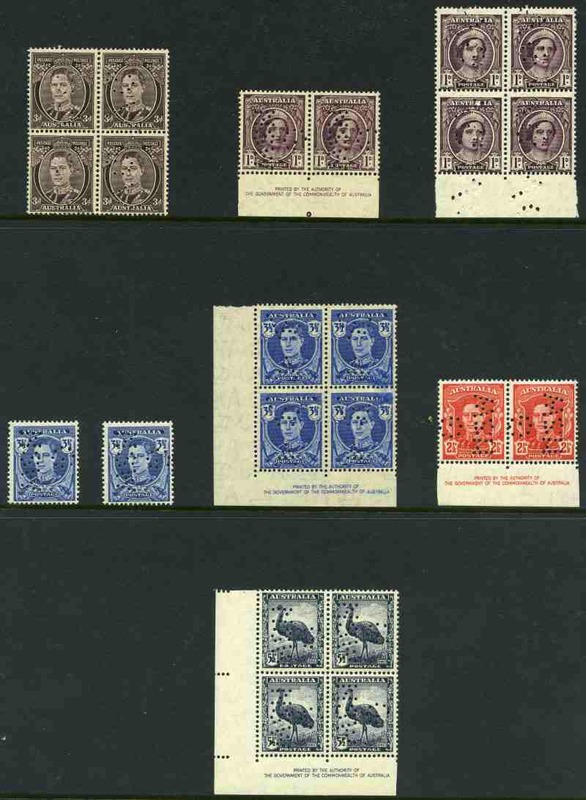 Collection of hundreds of Revenue and Telegraph stamps mint and used including a good range of early issues and some sets in blocks of 4 with Specimen overprints. Interesting range. Attractive sheets of 25 different Poster stamps circa 1940, featuring Alpine scenes, in Blue, Green and Purple. 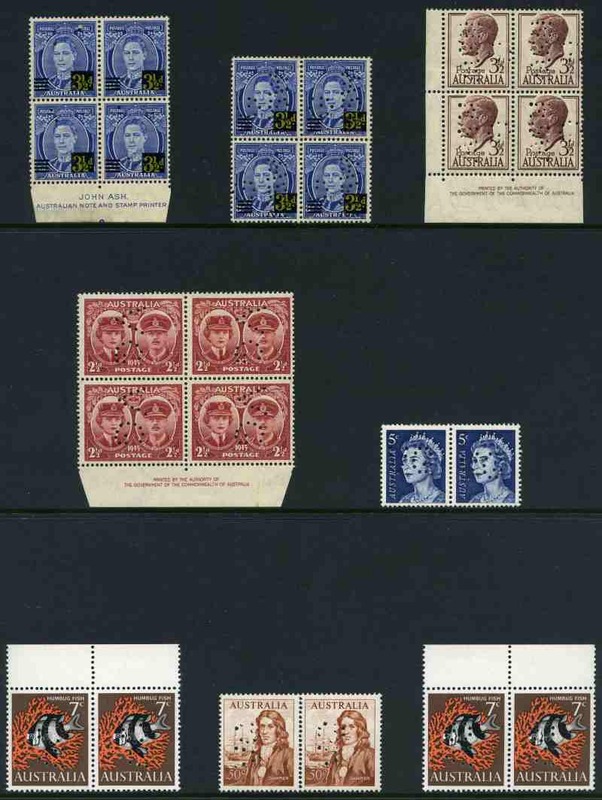 5 Purple stamps creased, otherwise in excellent condition. 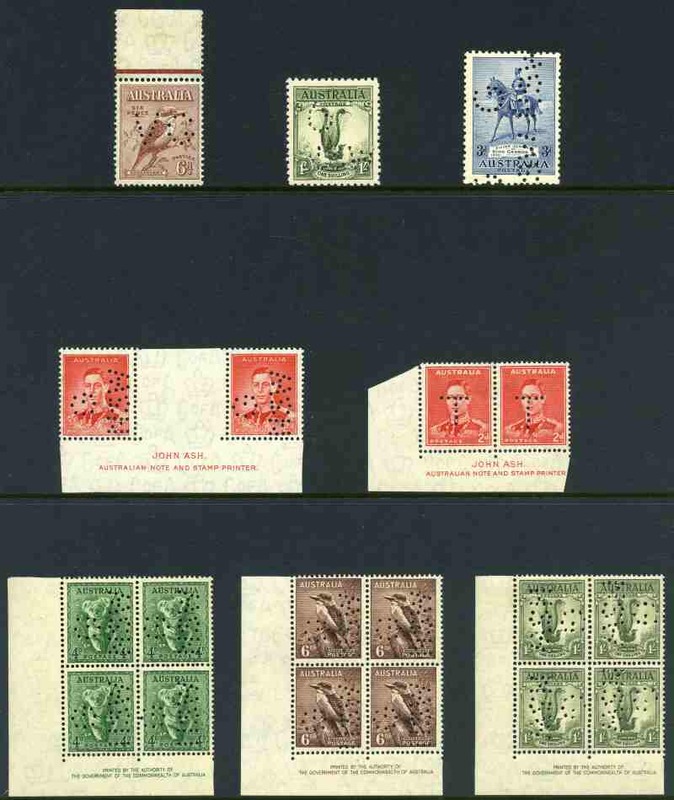 (75 stamps). Accumulation of 800 mint and used Cinderella items from a range of countries and periods. Some duplication.